Online personalisation is one of the biggest challenges for online publishers today. As social media platforms fast become the go-to access point for content, publishers need to step up their game and tap the value of their data in order to offer a truly engaging reader experience. Join Tom Wilde, Chief Product Officer at Cxense on Thursday, October 20th to discover how online personalisation can help you meet the ever increasing demands of your readers by tailoring customised content that engages the reader in real-time via your website or mobile ap. Publishers already have everything they need to exceed their readers' expectations, they just need a few tips on how to harness their user data to increase engagement and their digital revenue. Knowing what your readers want and when they want it can give you the biggest competitive edge in 2017! Tom is the Chief Product Officer (CPO) at Cxense, responsible for the strategic development of Cxense’s product portfolio, working closely with both the engineering and commercially-oriented teams. Prior to becoming CPO at Cxense, Tom was GM for Cxense North America after Cxense’s acquisition of the Ramp Media business where he served as CEO. Prior to Ramp, Tom has held roles including SVP/GM of the Consumer Division at NameMedia, senior vice president and general manager of MIVA Inc.’s North American division, responsible for both MIVA’s U.S. online advertising network as well as the company’s consumer business, and senior operating roles managing Terra Lycos’ global search & publishing divisions. Cxense are world leaders in Online Personalisation for the publishing industry, founded 8 years ago by the ex-management team from FAST bought by Microsoft for 1.3 billion. 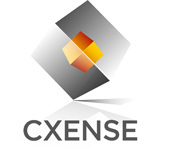 Cxense work with companies such as Wall Street Journal and NBC Universal. Their vision is simple: to create the ultimate tool for website owners to know what their audience wants, and deliver on that promise. The company grew rapidly and now tracks more than one billion user profiles on behalf of more than 350 customers globally, on more than 6000 sites, all in real-time. Watch "5 top tips - How personalisation can increase your digital revenues in 2017"